Éamonn Fitzmaurice is entering his sixth year as Kerry commander. Declan Bonner may be freshly installed but this is his second coming as Donegal manager. So it's not as if either boss qualifies as a greenhorn. Yet most people are expecting winds of change to be blowing through Fitzgerald Stadium tomorrow. If Kerry are to reclaim their seat on the September throne, they can't reprise the formula that came up short in 2015, '16 and '17. They must adapt or die ... but, crucially, Fitzmaurice has the tools to do so. Equally, if Donegal are to become relevant again in the race for Sam, they must modify their approach, liberate their defensive chains ... or else. The good news? Bonner knows this. We'll start, though, with his opposite number, who blooded several rookies including a number of decorated ex-minors during last year's run to Allianz League glory. But as summer evolved, it seemed Fitzmaurice was reverting to the tried-and-trusted - who could no longer be trusted when it mattered. He reintroduced younger legs (in the guise of Tom O'Sullivan and Jack Barry) for the semi-final replay against Mayo and tore up the tactical script too by playing a sweeper. But, in hindsight, it all looked a bit panicked. Kerry were ill-prepared for Mayo's controlled fury. More significantly, it was beyond obvious that a long-creaking, now-heavily leaking defence required a radical overhaul. One of the county's greatest defenders, Tomás Ó Sé, summed up the Kerry mood on RTÉ Radio yesterday. "A lot of people weren't happy at the way Kerry exited the championship last year against Mayo, so we need to blood some of these youngsters now," he said, but he then cautioned: "We have to be patient." David Clifford is the most talked-up Kerry minor of them all - for good reason, as scoring machines of his outrageous talent are a rarity. 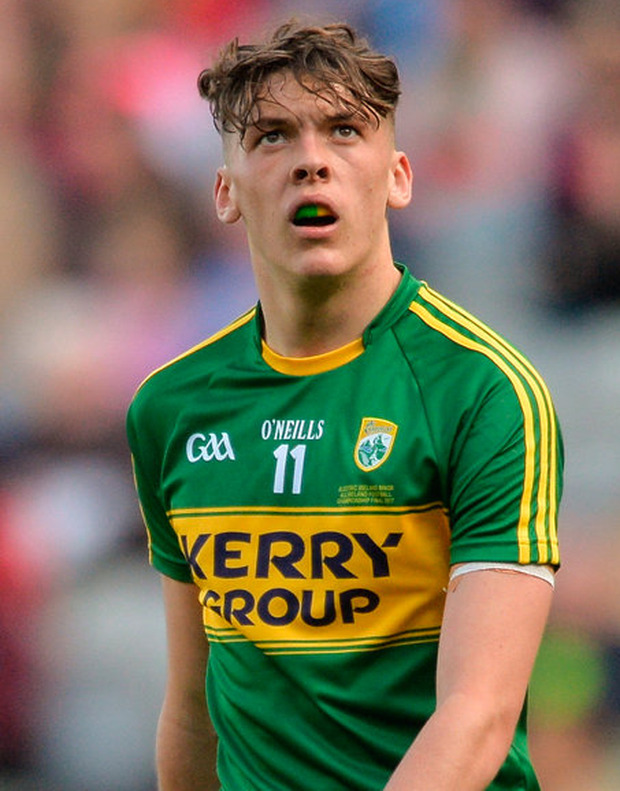 But he's still very young and, besides, Kerry require greater surgery in defence. Donegal were even more sieve-like last summer, leaking 1-21 to Tyrone and then a staggering 4-17 to Galway. End of the line for Rory Gallagher. It was always going to be a difficult ask for Gallagher, overseeing the inevitable period of transition in the post-Jim McGuinness era. All-Ireland veterans were leaving in multiples; a few others who hung around no longer had the legs to thrive; enter a raft of promising U21s last year, but the championship suggested it was too much, too soon. Bonner has taken over promising a more attack-minded approach. The early evidence has been encouraging: they've tallied 2-15, 1-10, 4-17 and 0-20 en route to reaching the McKenna Cup final, with Paddy McBrearty maintaining the rich vein of form that he carried even through the disappointments of last summer. They've a fighting chance here, but Kerry at home get our tentative vote.